New revelation emerged showing how a former Chief of Army Staff, Alex Badeh, used his position to enrich himself. The trial of a former Chief of Air Staff, Alex Badeh, continued on July 4, 2017, before Justice Okon Abang of the Federal High Court, sitting in Maitama, Abuja, with the prosecution counsel, Rotimi Jacobs, SAN, presenting the nineteenth witness, Abubakar Aliyu Madaki, for continuation of evidence in chief. It will be recalled that on June 21, Madaki, an operative of the EFCC, told the court how investigations were carried out into a number of properties which included a shopping mall, and a property located at 19, Kumasi Crescent, Abuja, linked to Badeh, revealed that several millions of naira were diverted from Nigeria Air Force’s accounts for personal enrichments, and acquisition of properties, whose ownership he tried to conceal. At today’s sitting, Madaki gave more shocking revelations relating to investigations carried out by his team on two properties allegedly owned by Badeh and how funds of the Nigerian Air Force were used to acquire the properties. 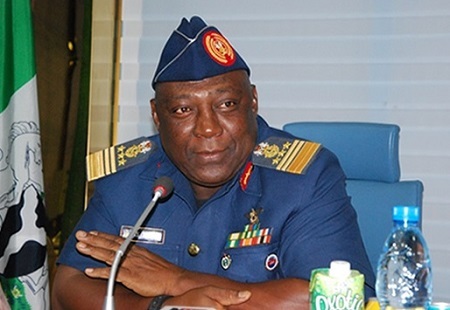 “In the cause of investigation into two properties (No 2 Nelson Mandela, Asokoro and Egiri, Yola) owned by the first defendant (Alex Badeh), information was received that funds of NAF was diverted to purchase No. 2 Nelson Mandela, Asokoro. “It was put before the first defendant who claimed he purchased the property with his hard earned income, including the property he had earlier sold. He was requested to provide the details of the person he bought the house from. He claimed he had the phone number of the agent (Mansur) that sold the property to him. Up until he left our custody, he did not provide the person”, Madaki stated. He further told the court that Badeh claimed he bought the house in cash and that it was not easy to trace the person who sold the house, which made them to contact Abuja Geographic Information System (AGIS). “On our own, we wrote to AGIS, but they claimed they could not find the file to the house”, the witness added. Regarding the second property, Madaki said that a friend of Badeh (Joseph Okpetu) was receiving N150million from Salisu Yushau, the then Director of Finance, Nigeria Air Force, to build the property. “The first defendant also claimed that the property in Yola was also bought with his hard earned money. Having this information about Okpetu building the house in Yola, a thorough investigation was carried out on how to get in touch with Okpetu. We also found out that Okpetu is the alter ego of Havoc Nigeria Limited, a company paid over N500 million form NAF, for the building of the house”, Madaki told the court. The PW19 further explained how Okpetu was caught and a search conducted in his house and office in the presence of his wife. According to him, some documents including building plan relating to the house in Yola were recovered. “We took him to our office, and he called his lawyer who is a Senior Advocate. In the course of interrogation, he confirmed that he was receiving N150 million in dollar equivalent, to construct the house in Yola, for the first defendant (Badeh). “When he was about taken to Lagos for another matter, we got an information that he was about removing the cars in his No 6, Ogun Rivers, off Danude, Maitama, Abuja and I sent some operatives to proceed to the house. Before they could get there, the cars were already moved out. The next day, I ordered some operatives to go back there with a camera and conduct a search. “The operatives returned with a bag containing dollars. I asked and they said they counted the dollars in the presence of both the policemen and the neighboring security, under the watch of their camera and the amount was One million dollars. “In the course of our findings, we came across a company called Prince and Princess. We obtained the accounts of the company from First bank and Zenith Bank. We discovered that the first defendant has 700 shares, his wife has 1million shares and three of his relatives have 100 shares each”. When asked to look at page ten of ‘Exhibit N1’, Madaki revealed that the said page of the exhibit was ‘Board resolution’, dated March 4, 2013. He added that, Badeh, his wife (Mary Iyah) and Alex Badeh junior were the directors of this company. Madaki was also asked to look at ‘Exhibit N30’ (the statement of account of Prince and Princess), and tell the court what happened on December 17, 2013. He said: “Between December 17 and 24, 2013, the company received N58million from NAF and as at then, Badeh was the Chief of Air Staff. “Between June 13, 2014 and February 9, 2015, the account was credited with N36million from the defence headquarters. “On February 9, 2015, the same account was credited with N25, 422.500 from defence headquarters. “Between March 6 and 14 2013, the total sum of N21million was deposited by a Squadron Leader Oloundu. It money was deposited in cash”, Madaki explained. He went on to state that “when it was discovered that an officer with that rank had made such a huge deposit, the Commission quickly wrote to NAF to release him to come to the office and explain what the money was meant for, but was told that the officer was on a peace mission and would be released to the EFCC whenever he’s back”. The PW19 further stated that, “the company also has an account with First Bank where N90million was paid in two tranches of N45million, sometime in 2015”. The learned silk for the prosecution, Rotimi, asked the witness to look at Exhibit F1, F15 and G1, G14 and tell the court what he knew about the documents. Madaki said, Exhibit F1 to F15 was an account opening and statement of accounts of the first defendant adding that, they were deposits which were done in dollars. “Visa card transfer, on February 14, 2014, $25,000. “Visa card transfer, on February 21, 2014, $566,002.77. “Cash deposit of $50,000 on May 15, 2014 and cash deposit of $40,000 made on November, 2014”. He further explained that, in exhibit F14 to F15, the second account of Badeh also got the following money through his domiciliary account. 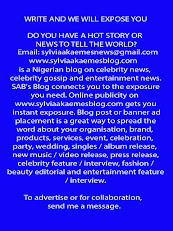 “On November 2, 2012, barely a month Badeh became Chief of Air Staff; he deposited $100,000 into the account. “On June 13, 2013, a deposit of $100,000 cash was paid into the account. “On June 17, 2013, $100,000 was paid into the account. “Between November 2012 and November 2013, deposit of $900,000 cash was made into the account of the first defendant. “Throughout our investigation, we did not see where Badeh received salary in dollars”, Madaki stated. Documents such as letters written to AGIS, its reply and the reply from NAF, were shown to the witness and he identified them. Rotimi sought to tender the documents, but the defence team led by Akin Olujimi, SAN, objected. Justice Okon Abang, thereafter, adjourned to July 26, 2017 for the continuation of argument on the admissibility of documents, while vacating the earlier adjourned date of July 5, 2017.